Leaving your skin soft, fresh and supple, this gentle creamy, highly effective cleanser removes all traces of grime and makeup and is even gentle enough for the delicate eye area, helping to rebalance and brighten the skin. Grapeseed and Jojoba oils are used for their regenerating and non-comedic qualities, which help to even out skin tone, improve elasticity and give the skin a healthy glow. Geranium floral water and essential oils of Geranium, Lavender and Lemon are added to rebalance and brighten the skin. Aloe Vera is used to calm and sooth the skin. Apply one or two pumps of the cleanser over the face, eyes and neck twice a day, remove with either a hot cloth or damp cotton pads. 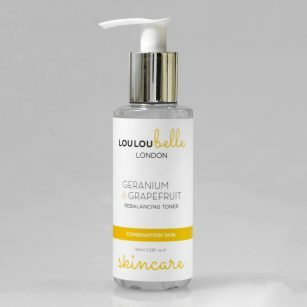 Follow with your Geranium & Grapefruit Rebalancing Toner. Good Cleanser, creamy, with a refreshing smell. Did a great job of refreshing the skin in the morning and removing all traces of make – up in the evening. My personal preference is to remove with a damp muslin cloth. I would recommend to friends. This cleanser is lovely. 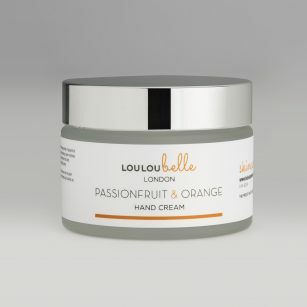 It smells great and removes all traces of makeup, leaving your skin feeling fresh and pampered. Really lovely, creamy cleanser. Smells divine and leave my skin soft and supple. 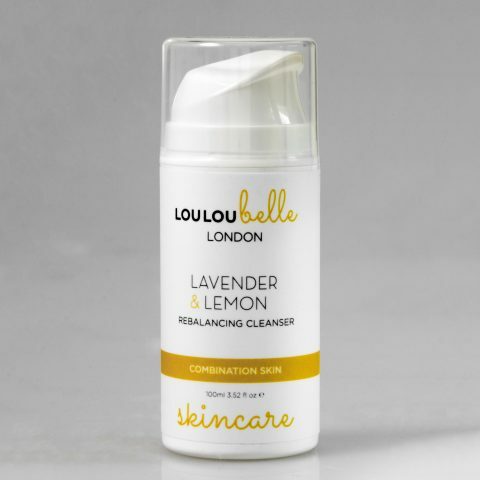 A lovely creamy textured cleanser with a sweet and fresh fragrance. Great for anyone wishing to regain an even tone to their skin by using natural ingredients. I also loved the bright and feminine looking packaging! I would definitely recommend this cleanser. It leaves your skin feeling soft balanced and clean. I rarely wear make-up and I use it in the shower (the label is waterproof and the cleanser rinses straight off the skin). Each product is specifically designed to bring the most benefits to your skin type and I would definitely recommend that you check this out (as I did).